how would u do bounce test on your ceiling anyways? i have a few apps that shows lux but how actually do it proper? Would that even give an estimate on actual lumens ? DrDevil, do you have a lux meter? Have you done a side by side candela measurement? I’ve found it to not be very accurate at all due to lights having different beam shapes, etc… It’s also not comparable to anyone else’s numbers as you have differences in table heights, ceiling textures, paint colors, etc… I never used a phone app, only a $30 Dr Meter LX1330B. Basically you find a table or something similar and mark you a little spot to always tail stand your light. Then I mark a spot about 6 inches to one side to put the meter. Using the same light and meter orientation will give you repeatability. Since light is additive, I turn off most of the room light except for a little lamp. I read this ambient level and later subtract it from the total. Then I turn on the flashlight and wait for it to either stabilize or hit the 30 second mark, whichever comes first. It’s not very good for comparing different styles of lights. 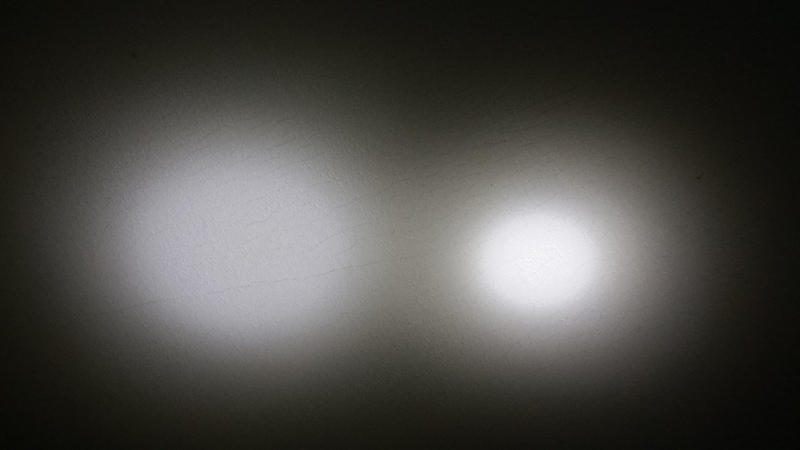 Throwy beams and floody beams of the same lumens can give pretty different results due to the way the light reflects from your ceiling back to the meter. Of all the different ways to measure lights, the candela or throw distance is the easiest. If you ever wanted to try it, you just need a $15-$30 lux meter and a tape measure. Here is a video showing the procedure. In the ceiling bounce test, concerning ambient light, I have to ponder…. if a lamp is on in the room and there is a very slight reading on the meter, does the 1200 lumen light hit the ceiling and add to the 2 lux already on the meter? If you’re running the test and have someone turn off the lamp, does the meter reading change? If it’s daylight outside but the blinds are closed such that there is a low level of ambient, does that actually influence the meter’s total reading when the light is turned on? Can you add 3 lux of ambient to 135 lux produced by the flashlight and get a measurable gain? What about adding 3 lux of ambient to a flashlights 665,000? So, at what point does a bit of low level ambient light actually matter? I mean, I know some people that do their lux tests in a blacked out basement, as if it really matters. Just wondering is all. Yes. If my room light is showing 88 lux and I do a ceiling bounce test of a light on low which is only 2 lux, the meter goes up to 90 lux. The point that it starts to matter is subjective. Consider the percentage of difference. Some people might think they should compensate for anything over 1% difference. In your example of a light measuring 1200 lux and a lamp adding 2 lux, the lamp is only adding 0.16%. So I would say that 2 lux is irrelevant. 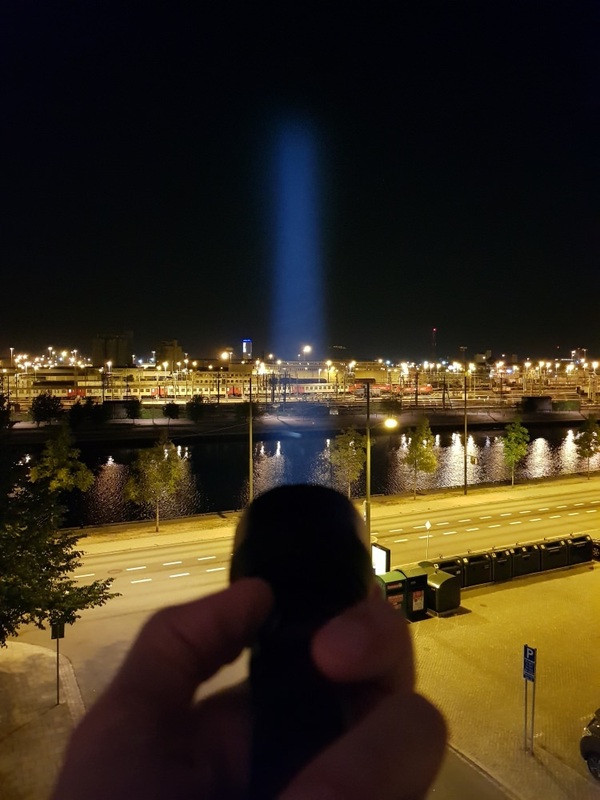 Did you actually mean 1200 lumen? Let’s say that 1200 lumen light measured 175 lux on a ceiling bounce. Now the 2 lux would be 1.1% of the reading. This is a big iffy. If you got a steady 175 lux then, sure, why not subtract the 2 extra lux. If the lux was rapidly falling while waiting for the 30 second mark, then it’s probably not a big deal. BTW, adding 3 lux to 665,000 lux would be 0.00045%. Irrelevant, of course. Adding 3 lux to 135 lux is 2.2%. So yeah, you might want to subtract it. It depends if 2.2% is a big deal to you or not. I ask because lux is not additive as lumens is. 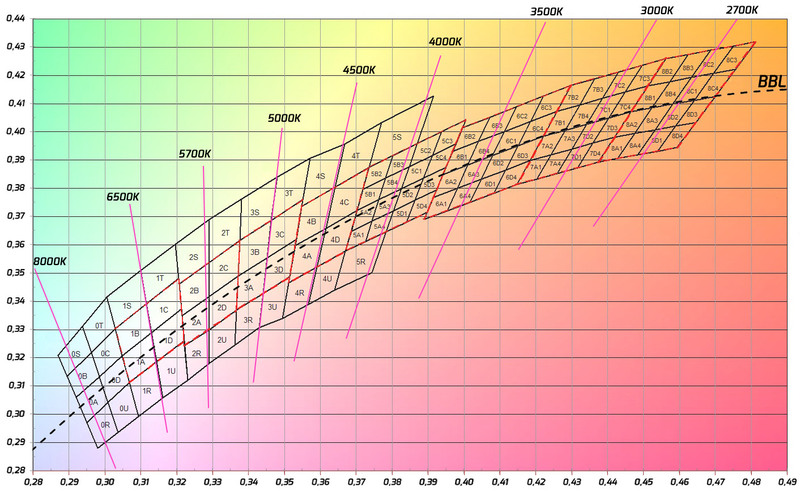 If you put 4 1000 lumen emitters in a single flashlight then you are indeed likely to get 4000 lumens of output, but that doesn’t mean the lux will go up the same way, it’s not linear like the additive lumens. So say you measured the Convoy C8 with a given set-up, then MRsDNF builds a light using 4 Convoy C8 reflectors and the emitter/driver set-up is the same to each one as was in the original C8. You’ll see the lumens go up exponentially, but not the lux. So adding 135 lux to a room of 3 lux isn’t likely to show the low ambient on the meter, it simply get’s overridden. And the candela reading we usually use is all about the intensity of the hot spot, a ceiling bounce totally diffuses that to the point of irrelevance. Lux is subjective here because it’s not taken in the standard context. Shine a low output light on the wall, then shine a high power light on top of it. The overall brightness of the spot on the wall doesn’t get bumped (that you can see) by the addition of the low level light. The low level light just get’s over ridden. This is meaningful to me on the basis of the fixture I am building to aid the growth of my pepper plant. I am changing from a single 90 CRI 5000K COB to a mix of 5 high CRI COB’s of 3 levels of temperature in order to introduce some red into the spectrum. How it all mixes and the apparent overall output will mean I get great peppers or I wasted my time and money. So, thus , the relevance to me about how all this works. Are you thinking of doubling the lumens does not double the lux? If I take 2 lights and a lux meter, their individual lux readings all add up for me. I think you are describing a person’s perception of light as opposed to measuring it with a high precision device. Our eyes can not see small differences in brightness like your describing. 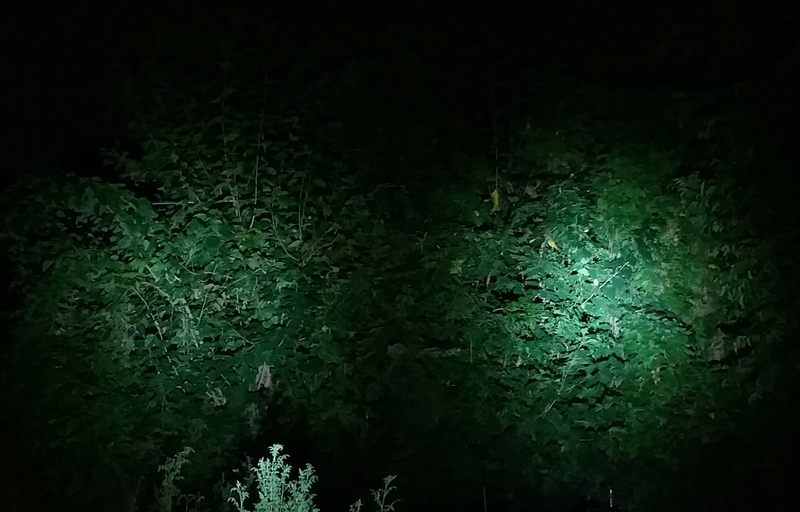 As an example of just how bad our eyes are at detecting brightness levels, I was watching the output of my ODF30 light on Turbo. It stayed steady at about 3000 lumen then started to ramp down to 1900 lumen over a 35 second period. I didn’t even notice. I wasn’t specifically looking for it, so when it happened I didn’t notice it. If it had abruptly stepped down it would be noticable. I typically can not tell a 500 lumen light from a 600 lumen light when held side by side. I can stare at it on a wall and guess which is the brighter, but I’m not positive. This is why we need to measure things and not use our eyes. Sorry, I can’t help on the grow light stuff. I don’t know anything on that subject. I guess I’m just used to taking a lux reading at the center of the hot spot for Kcd reading, which in turn determines throw. Using a diffused light from the ceiling bounce just doesn’t compute as I’ve never done that, always had a light box since I got a meter. From 5 meters, shine the light on the meter’s sensor and multiply the reading x25, then take that reading and multiply times 4 and use the square root of that answer for throw. Ceiling bounce lux is an obtuse number, it doesn’t line up with anything from the manufacturer’s or the normal mind set of what a light is doing, ie: it’s not lumens, it’s not Kcd, it’s not throw. It’s making do with part of the equipment or simply not using the meter in a term that we’ve used for some years now to establish lux as the intensity of the hot spot… 135Kcd as this light has been measured. I’m coming off pretty much a solid workweek of bad days and meds, so it’s probably just me not making sense. Sorry. Got it today, it’s lovely, finish is also excellent. Would have never dreamed of that a few years ago. I hope you ordered the 18350 tube to go along with it, man I LOVE it with the short tube! wont the battery life be crap then? i think its ideal as it is, no need for smaller tube as its so small already compared to its big brother and u can put it a 3000mah battery. Got my GTmini today and I love it! I got mine today in the USA so maybe the rest of the USA orders will show up soon. Here are my measurements from a stock CW GT Mini using a Samsung 30Q. I would take my lumen measurements with a grain of salt. My tube had to be really dialed down to read accurately to Maukka’s calibration light. I’m still working on this. Even so, 1200 lumen is pretty much on spec. I’m sure other lumen tubes and devices will read higher, maybe much higher. No doubt that the 148kcd @30s is quite impressive. Higher than spec. This is a very impressive light. It truly blows away my Convoy C8. Someone asked me if the Mini really does blow away the C8. I went and took some pictures, but the question got deleted. Anyway, here is a comparison of the hot spots at a reduced level, but the same relative brightness as if both were on turbo. You can clearly see the Mini has a much smaller, tighter and intense hot spot. In this picture I had both lights on turbo and the camera sensitivity turned way down. The C8 looks like a corona that is missing the hot spot. So yeah, the mini really does blow it away. Do you know if it has enough room to run the protected 18650’s? Yes, protected seem to fit fine. I have a 69mm Keeppower 8A protected Sanyo GA 3500 and a 69.5mm Evva 7A protected Panny B 3400. The tail springs can collapse down really far so that shouldn’t be an issue. The thing you should be aware of is the amp draw on your protected cells. If their protection circuitry is only 3 amp then you may not be able to run the GT mini on Turbo. I measured my Evva at 4.1v and got 2.2A top of ramp and 4A on turbo. My KeepPower at 4.1v got 2.2A top of ramp and 4.3A on turbo. That is some good info you posted Jason… thank you. Did the tracking info for yours ever update before it was delivered? 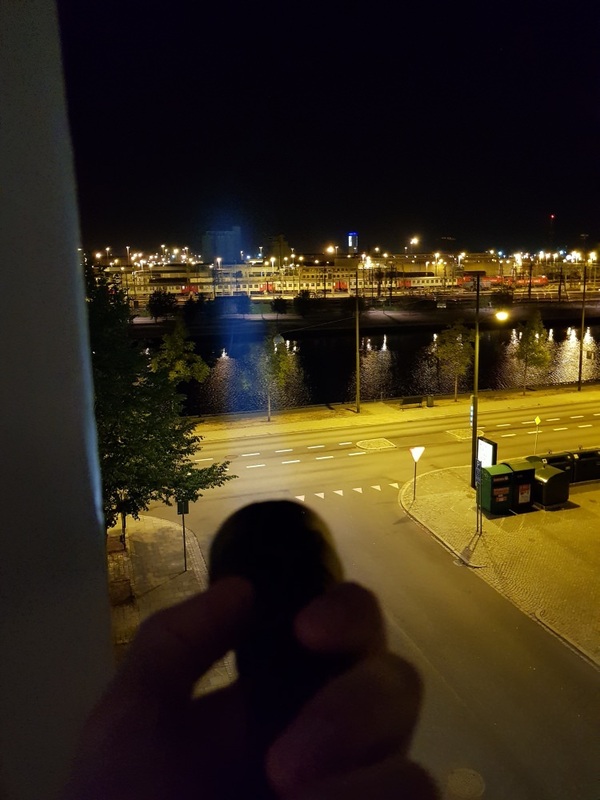 Nice to see you oversea guys got the mini too..
Great pics & view mortuus.. I got mine last night, definitely outperforms my convoy c8, even with a dedomed xml. Using mode select (ie not ramping) is 100% equivalent to turbo? no u have to double click, ramping does not go to turbo. oh my bad i thought u were talking about ramping mode.. no idea then. Using mode select (ie. not ramping) is 100% equivalent to turbo? It depends on which mode set number you are using. Modes 1-6 use the top of the ramp as 100%. Modes 7-12 use full turbo as 100%. This is the manual that still says it uses a buck driver, just ignore that part. thanks for clarifying that JasonWW! still waiting for mine. emailed, no response yet, to get an update on when will it ship out. I got tracking 8/2 and a scan at “GUANGZHOU EMS” on the same day, just hasn’t moved in 7 days. Looking forward to getting mine too. For anyone in the USA who has received theirs, has your tracking info worked? Or did it just say processed in China and then show up at your door? I’m sure all of ours will get here eventually, I’m just curious if I should even bother checking the tracking progress.